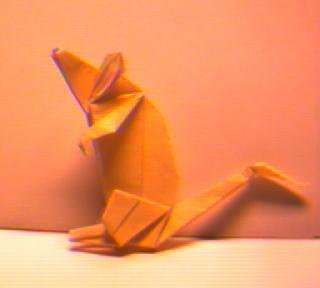 The rodent was folded and photographed by John Paulsen. Robert J. Lang. The Complete Book of Origami: Step-by-Step Instructions in Over 1000 Diagrams. Dover Publications, New York. (c) 1988. Thank you for visiting Jasper's Origami Menagerie. Copyright 1995-96, 99 by John Paulsen. Your comments are welcomed.